This massive bundle of templates, icons, vectors and more is sure to elevate any project you’re working on. No designer should be without their tools, and you’ll never have to be short of assets or inspiration when you grab the 2016 Summer Design Bundle. 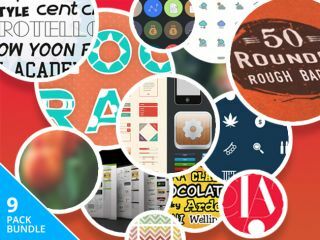 Right now, you can pay what you want for this massive collection of design resources. This bundle of assets geared toward graphic designers has everything a creator could ask for. You’ll find mockups and templates, icons, vectors, fonts, and more—all the tools you need to make your next design project shine. Whether you’re a professional in need of expanding your toolkit or just like to design in your free time, this bundle is packed to the brim with assets just waiting to be put to work. The 2016 Summer Design Bundle is valued at $2,480, but you get to pay what you want for it. Pay any price to unlock two sets of assets, or beat the average to unlock everything. No matter what, you’ll be getting a collection of assets and tools that will be indispensable for your projects.